DocBook XML, a highly customizable and extensible documentation markup language, has greatly evolved over the years, with its latest version, 5.0, capable of handling an extensive array of documents. Whether you are looking for a DocBook XML expert to convert large set of documents, with shared authoring, batch processing or multiple releases, look no further than Equipped with extensive experience in creating and converting content into DocBook XML format and from DocBook XML to other formats, our team of DocBook XML conversion experts can convert your content in various desired formats. Whether your need calls for HTML, PDF or any other format, by choosing us you can rest assured that you have chosen the best in business. Committed to delivering superlative XML conversion services, Allied Infoline has a streamlined the DocBook XML Conversion Process. The process enables us to pay acute attention to minute details such as lists, tables, inline code and titles. Need DocBook XML Conversion Services? Talk to Us! 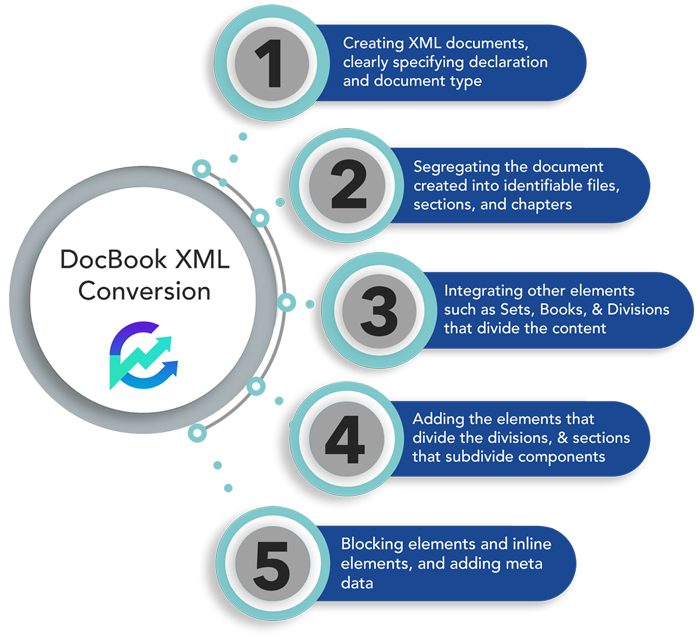 DocBook XML conversion can be a demanding task, requiring the expertise of seasoned professionals. That is when you can trust Allied Infoline to take the burden off your shoulder. To learn more about our DocBook XML Conversion services, write to us at sales@alliedinfoline.com or fill out our contact form and we will take it from there.